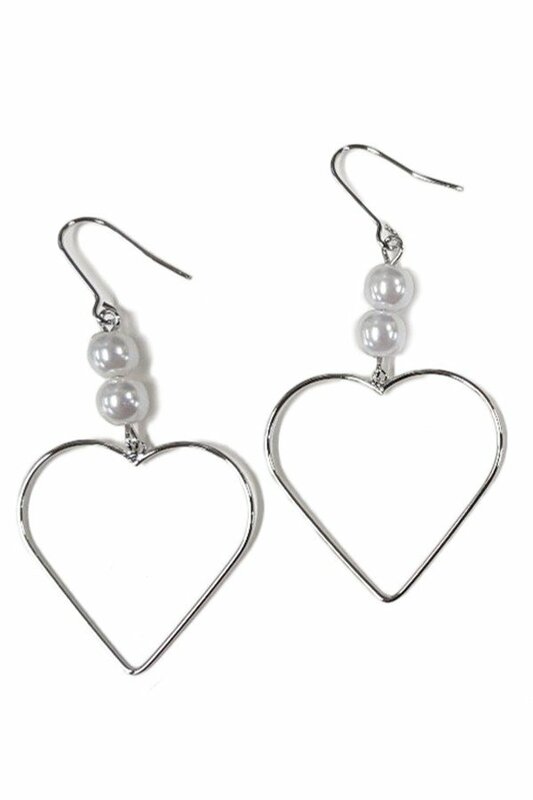 Description: Heart drop earrings with pearl accents. Approx. 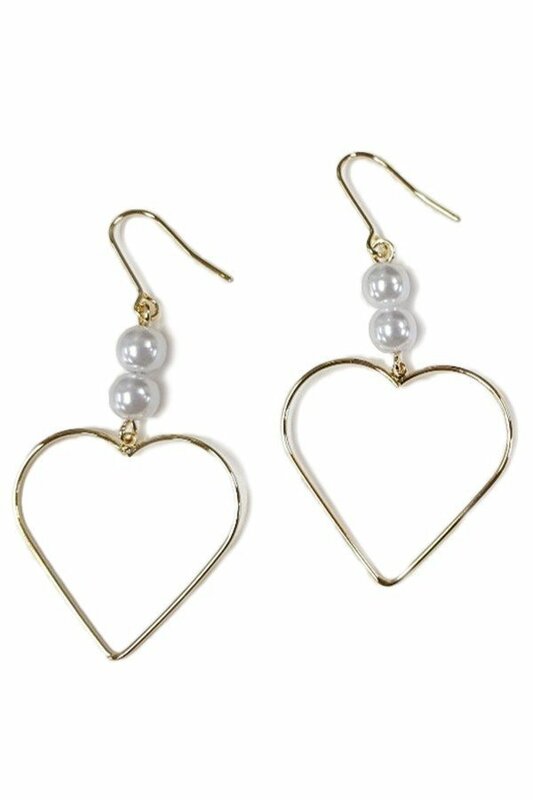 length 2.25".